I hope to add several articles and whilte papers in this section. Please submit yours to [email protected]. I will review and post them as soon as possible. They call him "The Donald'! As candidates for president emerge it is important to know where each stands on issues that are important to AMERICA. The USA cannot afford to make another mistake in electing an anti-American Socialist, someone with a poor track record of public service, or someone who values illegal invaders more than hard-working, loyal Americans and her military. Travesty in Healthcare => The system is skewed and corrupt. These associations and government agencies (FDA, AMA, Farm Bureaus, etc.) 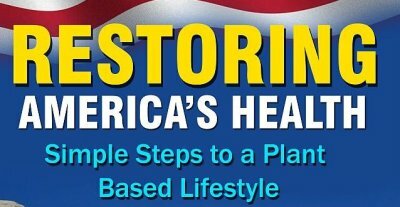 that control the HealthCare System, are littered with individuals from the pharmaceutical industry, mega-businesses (meat, dairy, subsidized agribusiness) and other related industries who all profit hugely from the existing HealthCare System. These huge mulch-national corporations fund campaigns, build hospital wings and fund educational institutions (as long as they follow a strict profit generation model dictated by the sponsors). Our Unsafe Society - Achiving a Balance of Power => It is an unfortunate fact that our Planet continues to be a place of violence, suffering and unrest. As information becomes more pervasive, so do the attempts to protect it from theft; all the while enabling a vast transfer of knowledge. Knowledge IS FREEDOM but that knowledge is constantly being censored by governments, corporations and individuals who Fear a Free and Open Society.